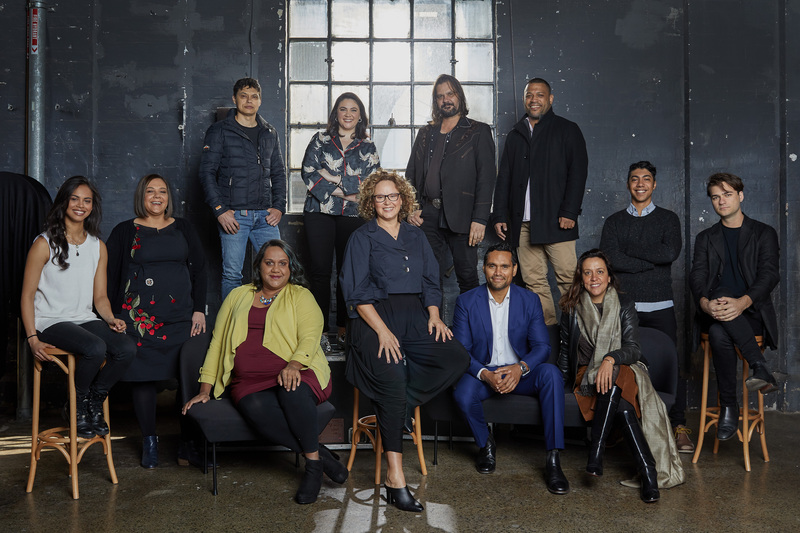 Indigenous screen industry veterans and emerging artists came together this morning at Carriageworks, Redfern to celebrate 25 years of Screen Australia’s Indigenous Department. In attendance were director Rachel Perkins (Mystery Road TV series, Bran Nue Dae), director and actor Leah Purcell (Redfern Now, Wentworth), and directors Ivan Sen (Mystery Road, Goldstone), Dylan River (Nulla Nulla) and Warwick Thornton (Samson & Delilah, Sweet Country). The screen creatives were joined by audience favourites Rob Collins (Cleverman), Elaine Crombie (8MMM, Kiki and Kitty), Aaron Fa’Aoso (Little J & Big Cuz, The Straits), Hunter Page-Lochard (Spear, Cleverman) and Tasia Zalar (Mystery Road TV series, The Warriors). The Indigenous screen community will formally mark the anniversary this evening with a showcase at Carriageworks. The event is being staged with the generous support of the ABC and NITV, plus Film Victoria, Screenwest, Documentary Australia Foundation, Shark Island Institute, Adelaide Film Festival and Carriageworks. August 2018 marks 25 years since the Indigenous Department at Screen Australia was established, resulting in some of the nation’s most beloved films, television shows and documentaries. Over 160 titles have been funded by the Department including Redfern Now, Samson & Delilah, Sweet Country, Spear, Toomelah, Little J & Big Cuz, Mystery Road TV Series and numerous documentaries including We Don’t Need a Map, and Black Divaz. Since its inception, the Indigenous Department has provided over $35m in funding for development, production and talent escalation. The model has been so successful it has recently inspired the Canada Media Fund to create their own Indigenous Film Fund. A hallmark of the Department has been to put Indigenous people in control of their own stories, and the Indigenous Department has had a dramatic impact on the visibility of Indigenous characters on screen. 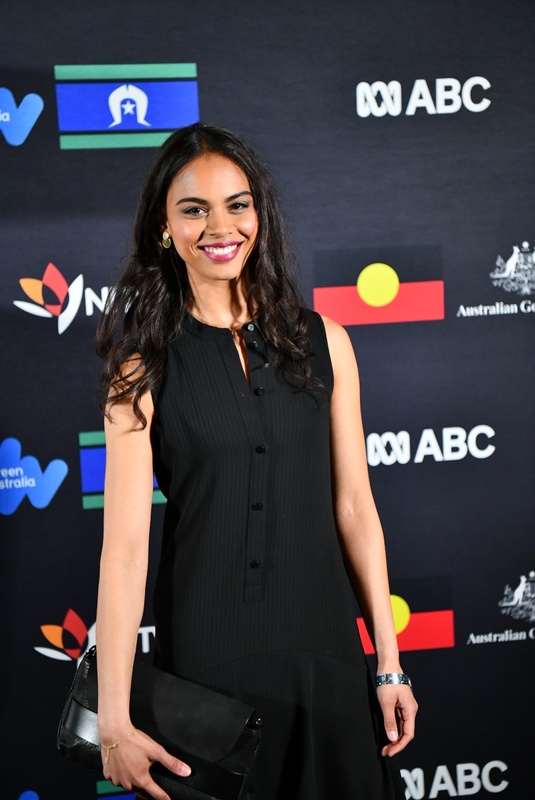 As the careers of Indigenous creatives have grown, it has become common for their talents to be seen in projects funded through different streams within Screen Australia, such Ryan Griffen creating Cleverman, Rachel Perkins directing Bran Nue Dae and Jasper Jones, Wayne Blair directing The Sapphires and Top End Wedding, and Leah Purcell being one of the directors on The Secret Daughter. A 2002 study entitled Broadcast in Colour found that in 1992 there were very few Indigenous Australians in sustaining roles on Australian TV, and by 1999 there were two. Screen Australia’s 2016 study Seeing Ourselves revealed a remarkable shift, with 5% of main characters being Indigenous, despite making up 3% of the population. The 5% figure matched exactly to the proportion of Indigenous actors in the period, suggesting authentic casting of Indigenous actors in Indigenous roles. Here are high res photographs from the media call at Carriageworks, Redfern on 30 August to mark 25 years of Screen Australia's Indigenous Department. Here are some high res photographs from the red carpet at the event at Carriageworks, Redfern marking the 25 year anniversary of Screen Australia's Indigenous Department on 30 August.